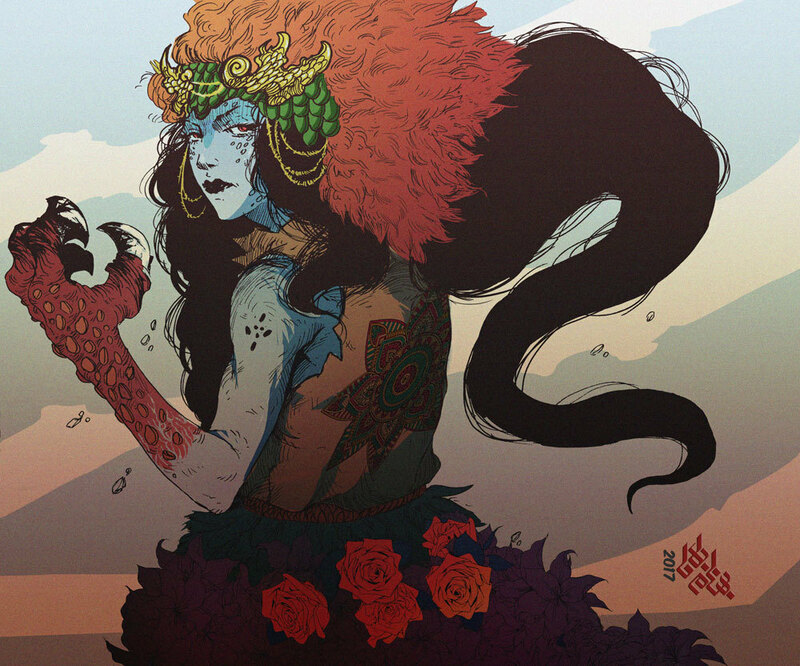 Behnam Balali’s monstrous yet heroic-like characters bring organic features like claws, hair, and fur and turn into part of their clothing and theme. I really enjoy his use of warm colors to bring the piece alive. It makes them look like the good guys despite having scary features like claws or fangs.